Heathley is a former Non-Executive Finance Director for the British Association of Snowsport Instructors (BASI), holds the highest international Nordic skiing teaching qualification and is one of the UK's top Cross-country Skiing Teachers. Welwyn Trail Running Group - Join us for local runs! Click on a link, or picture above, for details of quality accredited instruction in Hertfordshire (St Albans, Welwyn Garden City). 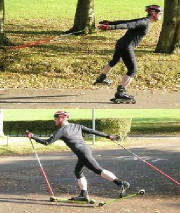 Heathley's professional instruction services have introduced people from all backgrounds to Nordic Fitness since 2004!! 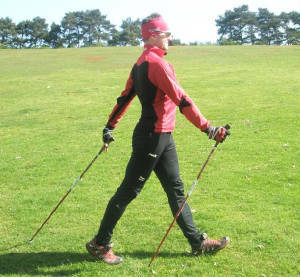 For Nordic Walking, Heathley is at the forefront of quality and reliable instruction, and is leading in the most popular technique.